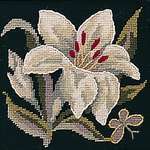 The best quality Needlepoint and Tapestry kits from the world's leading makers with free shipping to your door! 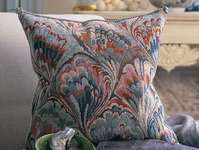 Create a unique family heirloom, a classic decoration for your home, a work of art that you'll treasure. 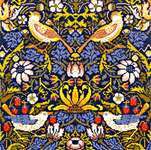 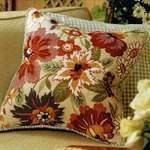 Needlepoint kits generally contain printed canvas, thread or tapestry wool, a needle and instructions. 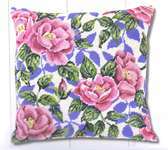 Vervaco specialises in pillows (cushions) with flower, nursery and animal themes. 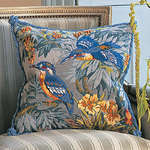 Glorafilia is a name synonymous with the best in needlepoint. 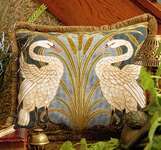 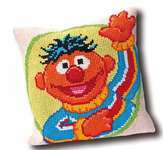 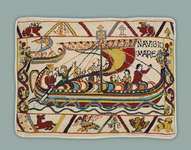 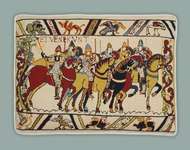 Permin of Copenhagen (Denmark) offers a range of tapestry and needlepoint cushions. 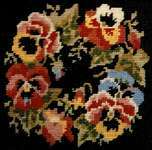 Rose Swalwell has designed a range of smaller needlepoint pictures grouped into series. 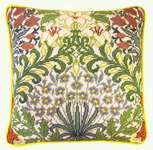 Bothy Threads of England produce a beautiful needlepoint cushions from arts and crafts designer William Morris and cute Gorjuss designs. 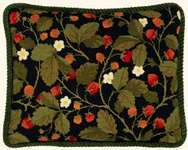 Rico Design (Germany) started out in tapestry products and now have a large range of traditional designs.